Kids Vote Bowling Birthday Parties #1. 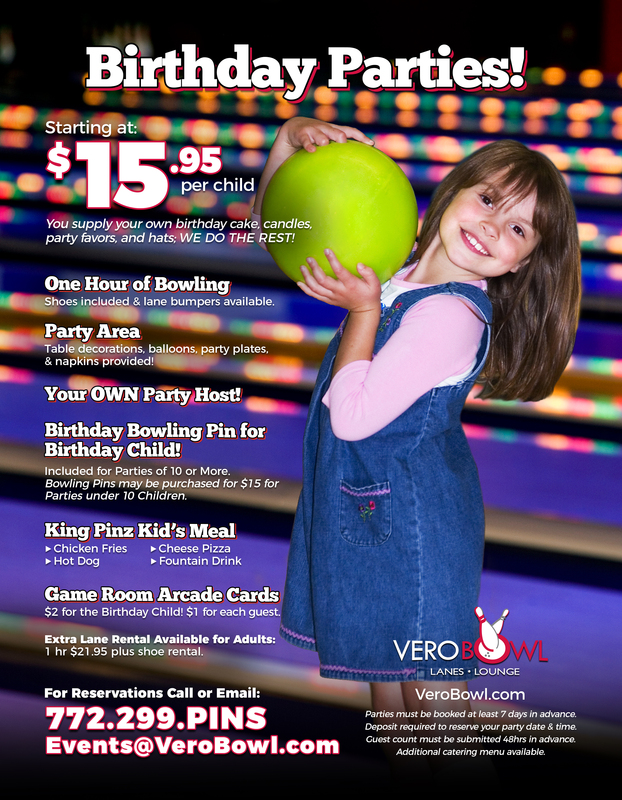 When you're looking for a birthday party place in Vero Beach...Vero Bowl is your party headquarters. Value, Value, Value - parents want it and we provide it! It's easy - reserve your party and we'll do the rest! 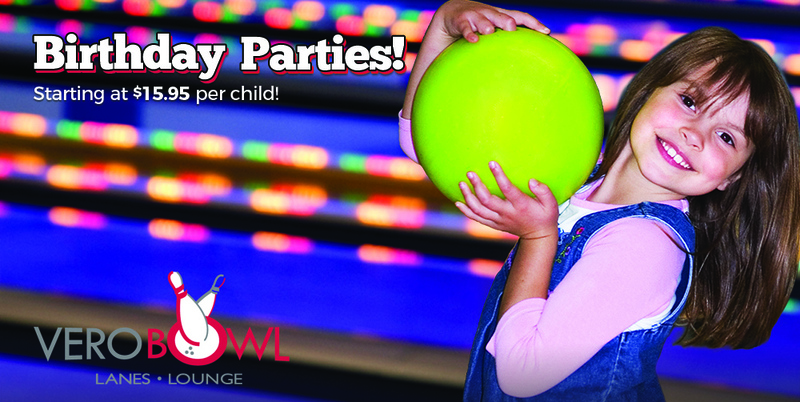 Call (772) 299- PINS (7467) to book your party today!